It took so many hours to get him clean — but now he's fluffy and happy. 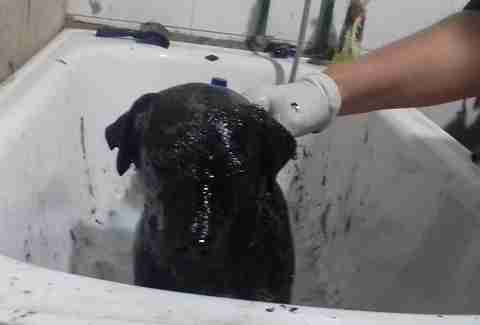 No one can say for certain if it was a tragic accident, or some wanton act of cruelty, that led to this poor pup being covered from head to tail in thick, sticky tar — but there is no doubt that it was love and patience that finally got him clean. Two kindhearted young men discovered the dog earlier this week wandering alone down a street in Lanus, Argentina. 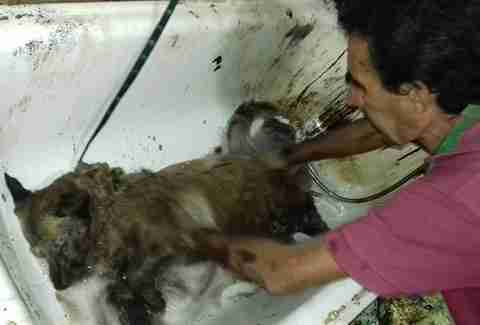 While there was little they could for the dog themselves, the men asked a police officer for help, and together they transported the tar-covered animal to a veterinary clinic. 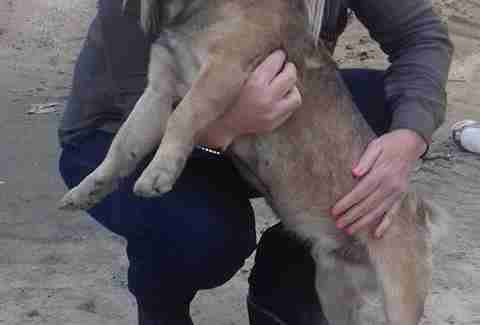 From there, volunteers from the animal rescue group Zoonosis Lanus were called in to assist. 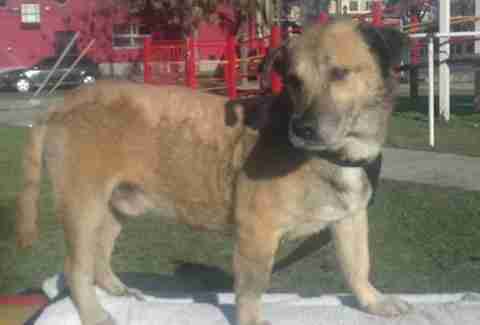 Though the dog might have seemed like a lost cause for some, his rescuers refused to give up hope. 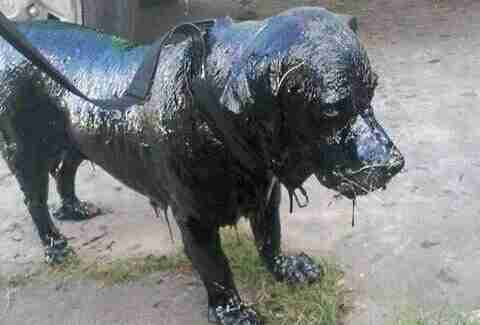 Over the next five hours, nonstop, the volunteers worked tirelessly to loosen up and scrub away the globs of tar encasing the dog. None on hand had ever tackled such a job before, and at times they were discouraged that the products they were using to clean him weren't working. But still they pressed on, happy to know it meant saving a life. Sure enough, thanks to their efforts, the dog's true self began to emerge. 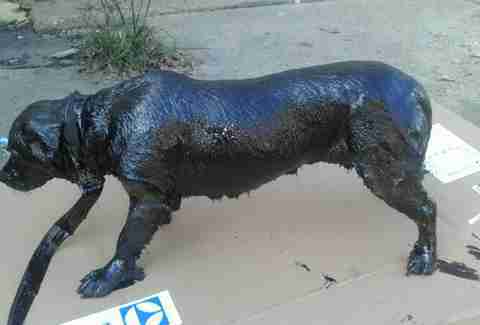 By the end of the day, the dog was all but free of the tar that had nearly killed him. It was around this time that his rescuers christened him with a name reflecting that substance he overcame: Petro (that's petrol in Spanish). Still, Petro would require a bit more cleaning the following day. Petro's brown fur still shows some staining from the tar, but he is nevertheless unrecognizable compared with the sorry state he'd been found in. Best of all, his sweet personality has begun to shine through, too. 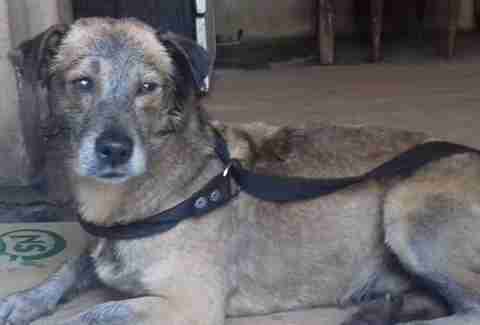 "Each day he's better and happier," rescuer Myriam Otellado wrote online. 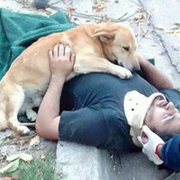 The story of Petro's rescue has since gone viral in Argentina, with countless well-wishers lavishing praise upon those who helped him. And though he'll likely need a little more time to recover completely from the trauma he experienced before he can be adopted, his future is brighter than ever thanks to the love and patience of all involved.